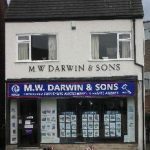 Established Estate Agents serving the area for over 60 years as an independent family run firm. For three generations we have provided an unrivaled experience of the local market. House Sales: Initial market valuation by Michael Darwin, a Chartered Surveyor with over 30 years experience. Services provided: Competitive fee structure, display in our office window, ‘For Sale’ board cost free, accompanied viewing if required, mailing on our extensive client base, regular press advertising and insertion onto our web site. Rental Property: Residential property managed on your behalf. Homebuyer Surveys: Competitive fees to ensure your dream home has no hidden surprises. 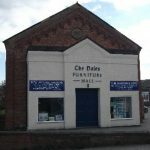 Furniture Auctions: Operating from our Bedale salesrooms for over 50 years, we have a wealth of experience in dealing with everything from whole house clearances to single items. We have an excellent private and commercial following. Our auctions are held generally every three weeks on a Friday starting at 10.30am, they usually consist of 500-600 lots of antique and modern furniture, china, porcelain, paintings, pictures, precious metals and jewelry. Website designed and hosted by "http://www.stephensonit.co.uk" Computer repairs Northallerton.